The sea trial is a critical part of evaluating a vessel&apos;s performance and handling characteristics, as well as machinery, controls and systems, and comfort and safety. Properly conducted, it should give you the confidence to move on with the purchase or steer you away from a particular vessel. It&apos;s not the time to take friends and family for a cruise. By the time you&apos;re ready to sea trial a boat, you already should have established that its size, style and layout are what you desire. 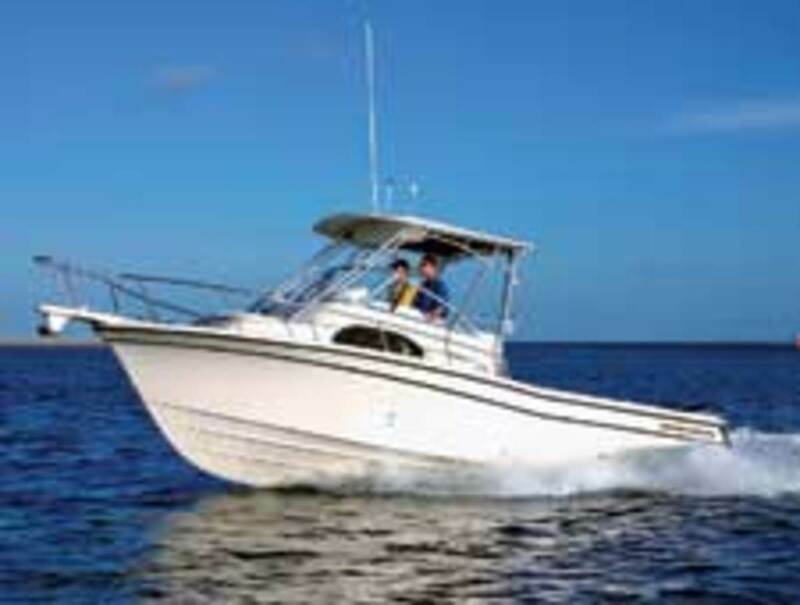 The sea trial is the final proving grounds upon which you can base your acceptance or rejection of the boat. 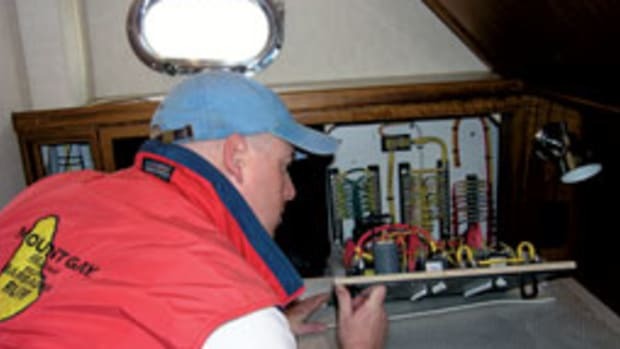 It should provide valuable information regarding the structural elements of the hull, deck and overall construction, as well as highlight any faults within the boat&apos;s operating systems, such as engines and their cooling and exhaust systems, steering system, running gear and most of the installed equipment. 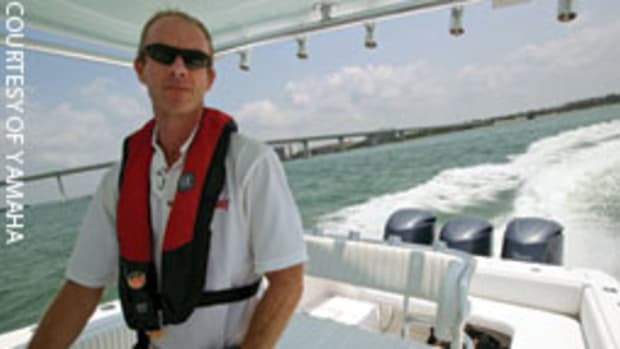 Although a sea trial often is conducted by a marine surveyor, being a knowledgeable buyer allows you to take an active role in the process. Here are some important issues to consider when sea-trialing a boat. As the buyer, the sea trial is for your benefit; therefore it is in your best interest to ensure that the boat is properly prepared. It should be fully commissioned, meaning that all equipment should be on board and ready for operation. Don&apos;t assume that the seller/broker or surveyor is taking care of this for you. Batteries should be charged and tanks full. Fuel and water tanks should be at least half full, but topped off is preferable. Running in rough water with full tanks can turn up leaks that otherwise might not be obvious. 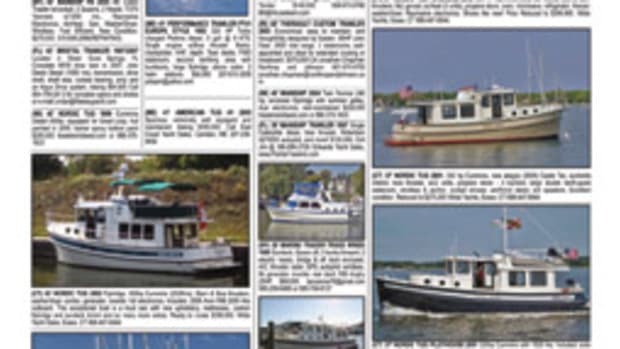 Tank levels also affect the vessel&apos;s overall handling, especially smaller boats. Be certain everything on deck and below is stowed and secured. It&apos;s difficult to concentrate on handling characteristics when gear is flying across the cockpit or crashing in the cabin. As a general rule, the vessel owner or a representative should handle the boat during most of the sea trial because of liability concerns. However, once the boat is in open water ask to take the helm for a time in order to get a firsthand feel for the boat&apos;s handling and running characteristics. Before sea-trialing inboard, sterndrive or V-drive boats, place a piece of white plastic drop cloth (a picnic table cover or discarded piece of shrink wrap works well) beneath the engine and transmission to check for leaks. Make sure it&apos;s not so large that it can get tangled in belts or other moving machinery. Following a hard run, any leaks from the machinery will show up on the drip cloths. Prior to starting the engines, operate the throttle and shift controls to confirm smooth, easy operation and positive mechanical detents. Be certain engine alarms activate once the key is turned. 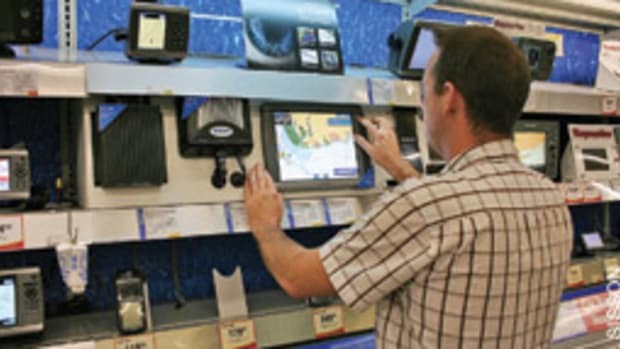 If there is more than one helm station, be certain to check the operation of controls and instruments from each. Ideally, you should begin with cold engines, since cold starting can reveal conditions that might go unnoticed once the engines are warm. Slow cranking can be caused by battery or electrical connection issues, and difficult starting can be a sign of faulty ignition or fuel systems. On boats with multiple engines I suggest starting one engine, letting it warm up enough for the idle to smooth, and then shutting it down. Repeat the procedure with the second engine, and when it is idling smoothly, restart the first engine. By starting and running each engine alone, issues with either can be isolated. Engine temperature and oil pressure should be similar on both engines. Black exhaust smoke on startup is created by a rich fuel mixture, and blue smoke that appears to linger and settle on the water surface can be caused by oil leaking past the valve guides or piston rings. It is common for many older diesels to run rich on initial cold startup, creating a black, sooty exhaust. This issue has been eliminated on newer diesels that use current engine and fuel system technologies. With the engine running, apply a load to the charging system by turning on all accessories, including lighting, blowers, DC refrigeration and electronics. Screeching belts indicate that adjustment or replacement is required. Monitor the charge system indicator light or gauges to determine if the alternator is supplying enough current to satisfy the load requirement. Make note of noisy or abrupt transmission shifting, and rough or erratic idling in gear, especially in sterndrive and outboard boats. 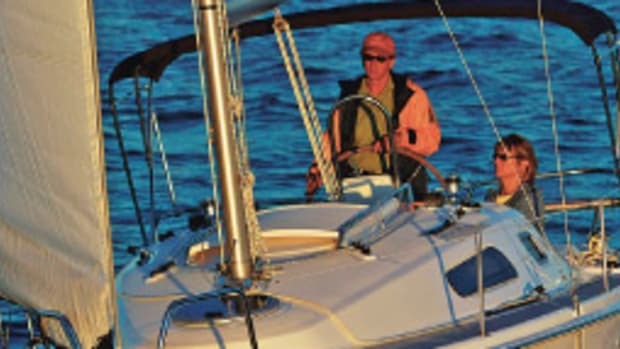 Before and after the sea trial check the level of water in the bilge, and look for signs of fuel, oil or coolant. Dip a white index card into the bilge water to check the color of the liquid. Green or very light orange indicates coolant, brown would be engine oil, and pink would be transmission fluid. Check the level and color of the engine oil before and after the sea trial. An increase in the level, combined with a milky appearance, indicates water in the oil, possibly caused by a leaky head gasket, cracked engine block or cylinder head, or bad exhaust manifold, risers or elbows, or a bad oil cooler. An increase in coolant beyond the normal expansion level can indicate the presence of seawater in the closed-circuit cooling system through a failed heat exchanger. A decrease in coolant can indicate a bad cylinder head gasket, allowing coolant to be turned into steam. White exhaust smoke also can be a symptom of this. To evaluate overall performance and handling characteristics, operate the boat through a range of rpm and speeds in different conditions. You want to be confident in the boat&apos;s seakeeping abilities. I recommend increasing engine speed in 500-rpm increments. Operate the boat in both head and following seas. It should respond to the application of power in a smooth and predictable fashion. Spend some time with seas on the beam, as well. Within reason, the boat should track straight while maneuvering in close quarters and at cruising speeds. Observe the wake and how much steering input is required to maintain course. With twins, be certain both engines are set to run at the same rpm. Wandering or snaking from side to side can be caused by play in the steering system linkage, a misaligned rudder or outboard alignment issues. 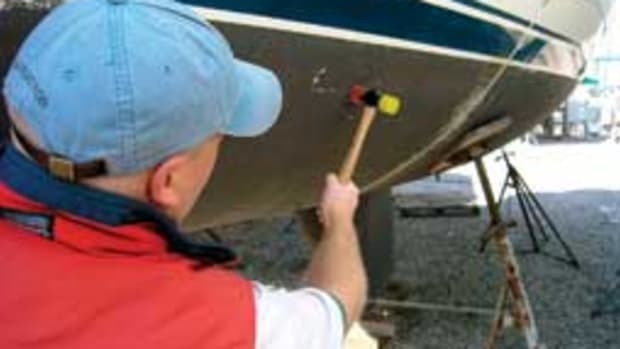 Veering to one side often is caused by rudder misalignment, though it also can be caused by too many through-hull fittings or marine growth buildup on one side of the hull. With tunnel or propeller pockets, undersized rudders can make slow speed maneuvering difficult, as well. Operate the boat with the trim tabs fully retracted to highlight any listing or handling issues. Activate one side at a time while at cruising speed, and confirm proper operation by the change in hull trim and vessel heading. Response to the tabs should be gradual and predictable. 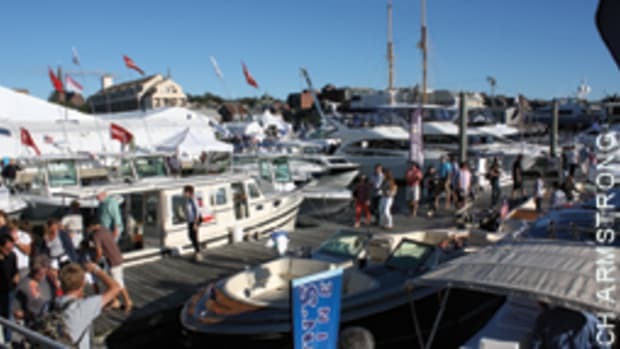 Depending on the power configuration, most boats perform best with around three to four turns of the wheel from lock to lock. As you maneuver, be aware of excessive roll or heel, nose diving, catching a chine during turns, porpoising, or any other condition that affects vessel balance. Also, determine if the cockpit is safe and comfortable for passengers by providing adequate freeboard and handholds. As the boat accelerates to get on plane, note the bow rise and visibility over the bow. The engine should remain smooth and strong, without hesitation or misfire. The engine shouldn&apos;t speed up rapidly - an indication of prop slip - but should be in sync with the hull speed. The engines should reach the upper end of but not exceed the manufacturer-specified throttle range under load (anywhere from 3,800 to 5,000 rpm), and multiple engines should synchronize. Most V-8 gas inboard engines will turn between 4,000 and 4,400 rpm at wide-open throttle. Low-speed diesels typically are governed to 2,500 rpm and should be within 50 rpm of that figure. High-speed four-cycle diesels can turn between 2,800 and 3,400 rpm - with some of the newer engines turning as high as 4,000 rpm - and should be within 100 rpm of the engine manufacturer&apos;s specification. 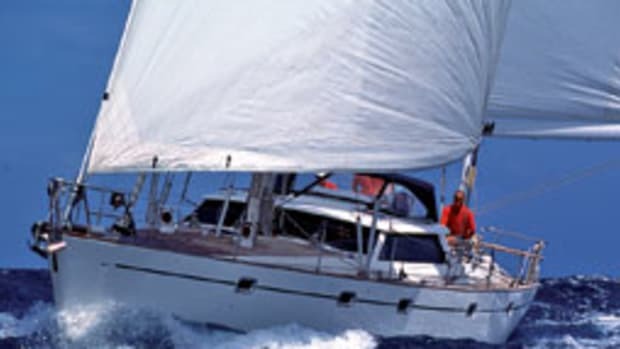 While at cruising speed go below and open doors, lockers and drawers, and check partitions in bulkheads for anything that might be binding or excessively loose. As the hull flexes, clearances might change between the panels, and excessive clearance or binding can indicate too much hull flex. All boats will vibrate through some portion of their acceleration or steady cruise rpm but shouldn&apos;t do so constantly. Most vibration I have encountered has been due to excessive shaft run-out. This can be caused by a bent shaft or misaligned struts, stuffing box, engine or transmission. Vibration also can be caused by an unbalanced prop or worn cutless bearing.